When Is Independence Day in Sweden? When Is Independence Day (Flag Day) in Sweden? Independence Day in Sweden is celebrated annually on June 6. This national holiday is also called the Day of the Swedish Flag and has a long history—and two reasons for the date. The date is based on the crowning of the first Swedish king nearly five centuries ago and the adoption of the country's constitution in 1809. Swedes celebrate Flag Day (similar to an "Independence Day") in memory of the founding of the kingdom of Sweden by the coronation ceremony of Gustav Vasa on June 6, 1523, and the adoption of the nation's constitution on June 6, 1809. 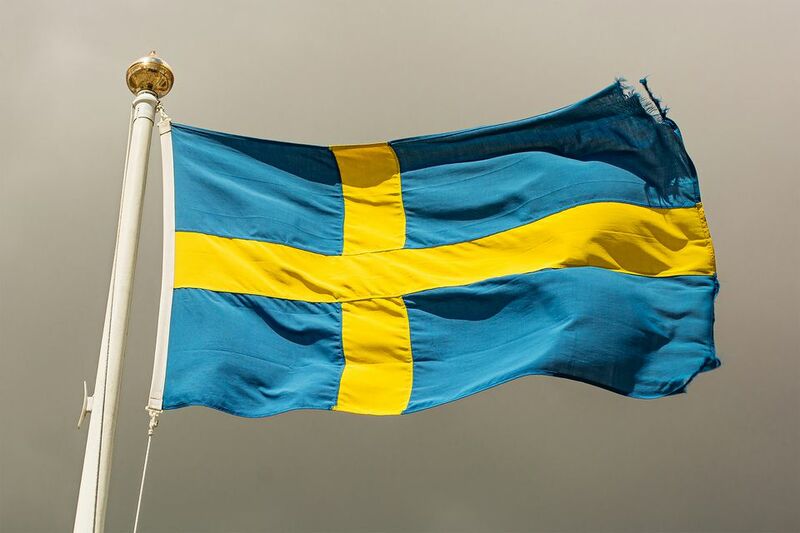 The day has actually been celebrated as the Day of the Swedish Flag since 1916 "when national-romantic winds were blowing through the country and folklore societies and local history museums were established," notes the website, Sweden – Sverige, which is the country's name in Swedish. Though the day was, indeed, observed nationwide throughout the 20th century, the government didn't officially recognize National Day until 1983. Even then, the date didn't become a national holiday until 2005, when the country first marked Independence Day/Flag Day as a national holiday, with schools, banks, and public institutions closing for the occasion. The Local SE, a website that presents Swedish news in English, notes that the few Swedes actually care about the holiday, likely because it was "artificially created," and, indeed, actually replaced another existing holiday that had been celebrated at the same time. "Every year, the King and Queen of Sweden take part in a ceremony at Skansen, Stockholm’s open-air museum, where the yellow and blue Swedish flag is run up the mast, and children in traditional peasant costumes present the royal couple with bouquets of summer flowers." "Come June 6, many Swedes stock up on booze, gather with friends, and celebrate having an extra day off. It’s not that they don’t have national pride — it’s really just in Swedes’ nature to do things a little more laid back." Indeed, though the king and queen of Sweden do usually celebrate National Day at Skansen, the well-known museum in the nation's capital, in 2017, they took a holiday from the holiday. Oh, they still celebrated Flag Day, but just not at home: They were on vacation. They celebrated National Day in the small Swedish city of Växjö, where the royal couple were honored guests and enjoyed the music of Joakim Larsson, a member of the Småland’s Opera. Have no fear though: Once the royals took their leave, the music and Flag Day fun continued, with plenty of activities for kids, and food and drink for the adults. Though they may not be as dutifully patriotic about observing their independence day as U.S. citizens, who reverently mark July 4th, for example, Swedes still like to celebrate, and National/Flag Day gives them the chance to do just that.